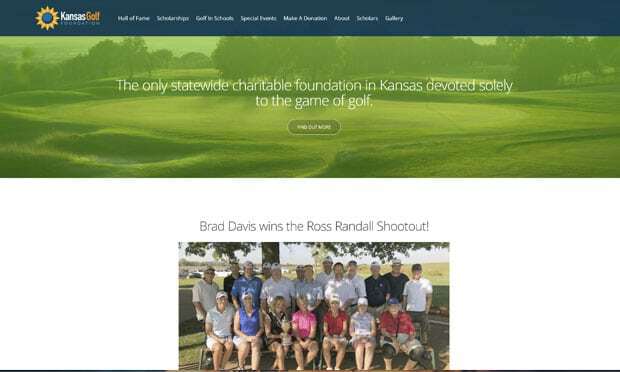 The Kansas Golf Foundation needed to graduate from KansasGolf.org with a site of their own so members could quickly assess tournament information and easily make donations. 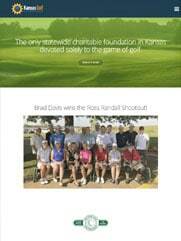 The succinct organization of the KansasGolfFoundation.org is par for the course. Now, it’s a breeze for visitors to navigate the site due to the clean design and simple layout. Plus, it’s just as easy for the foundation to update their site. On the backend, they have an intuitive content management system (CMS) that’s completely designed around the user’s needs. Even pages with custom programming—like the scholar’s page, which integrates with Google Maps—can be updated by the foundation themselves through their CMS. Talk about a hole-in-one! ‘Simple Translator Guide To Website Speak’! How Many Custom Designed Interior Pages (Increased Design Time)? Do you need a logo design? Would you like a photo gallery page? How many stock images would you like? Number of pages of SEO friendly copywriting?